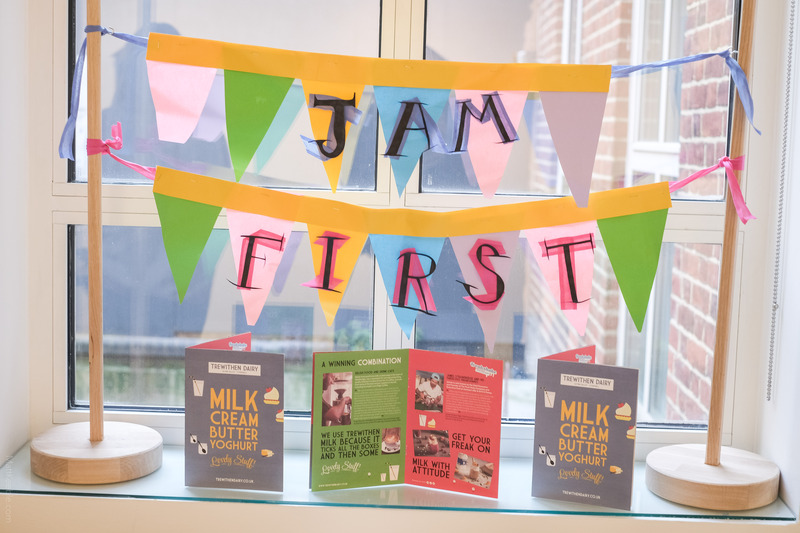 We’re absolutely thrilled to welcome cultural producer – film-maker, author, musician and educational consultant – Will Coleman as our April Ambassador of the Month. 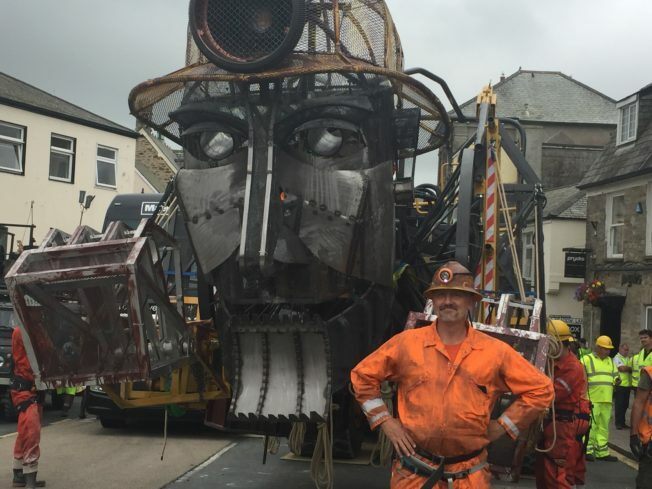 He’s the man behind Cornwall’s Man Engine (who’s Resurrection Tour 2018 begins in Cornwall this weekend!) 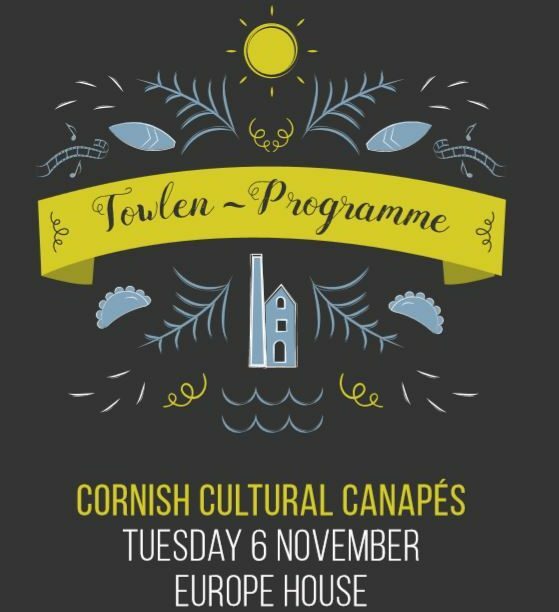 and with his huge interest in Cornish language, identity, traditional music, culture, and community celebration, we couldn’t wait to steal five minutes of this time to discover his favourite Cornish experiences and excursions! 1. Name / name of business / whereabouts in Cornwall are you based? 2. 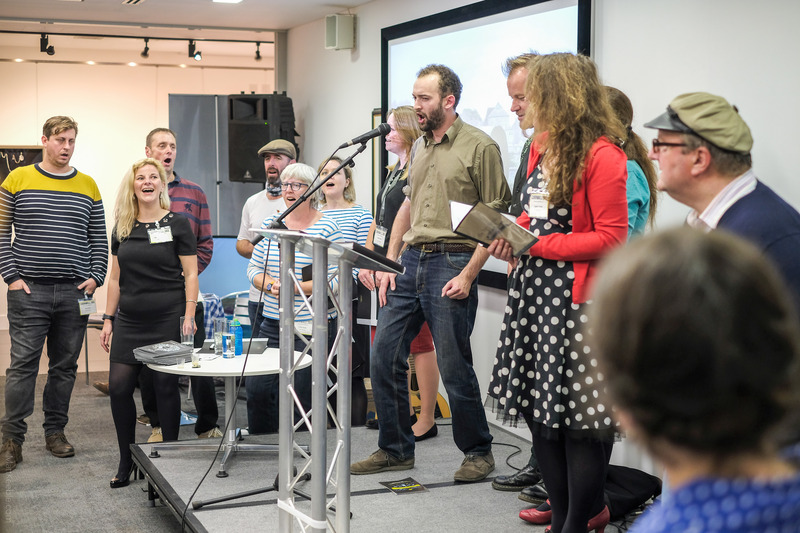 What have you done to promote Cornwall’s heritage and culture? 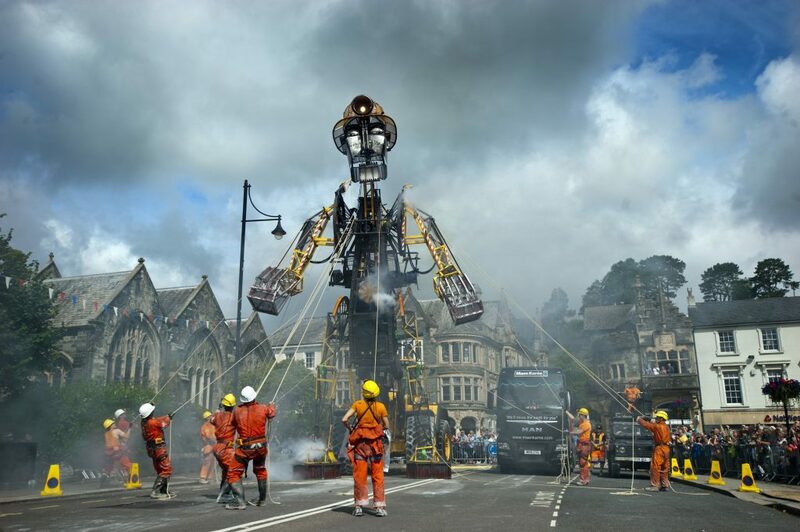 In 2016, 150,000 people turned out to meet the largest mechanical puppet ever constructed in Britain, the 11.2m tall giant miner celebrating the Cornish Mining World Heritage Site – The Man Engine. 3. 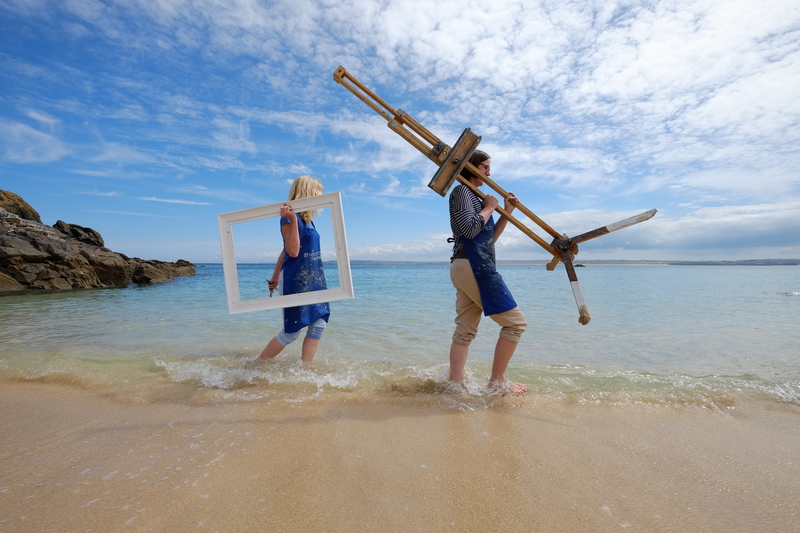 What has been your most useful Cornwall 365 experience or tool? Your bash at Heartlands with performers dotted throughout the entire mine site and buildings. Singing Trelawny at the Albert Hall – I know it’s not in Cornwall: but with 6,000 Cornish people there it felt like it was! 5. The family taken care of. The business is taken care of. What is your perfect day & evening in Cornwall? Gig rowing followed by pasty and a pint and a proper Cornish sing-song. 6. You have free tickets to the performance of your choice. Who would you take with you (living or dead)? 7. Most unusual performance space you have been to? Wildworks use of Trelowarren for ‘Wolf’s Child’ was stunning. It’s got to be Eden! 10. 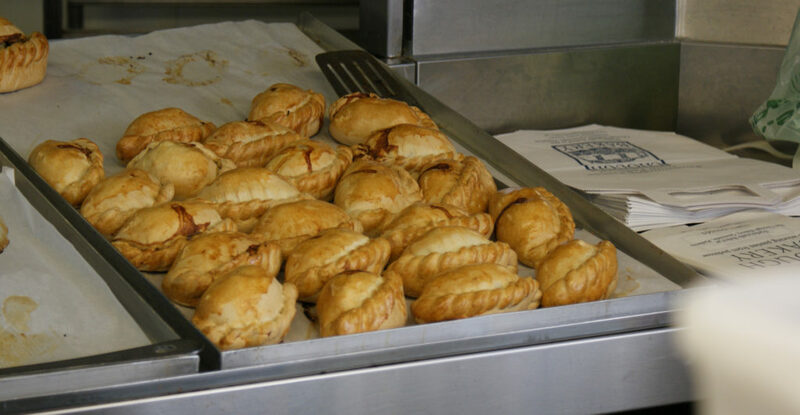 Best place in Cornwall to get food? I don’t know about ‘different’ but walk the Tin Coast and visit Geevor Tin Mine – epic! 12. 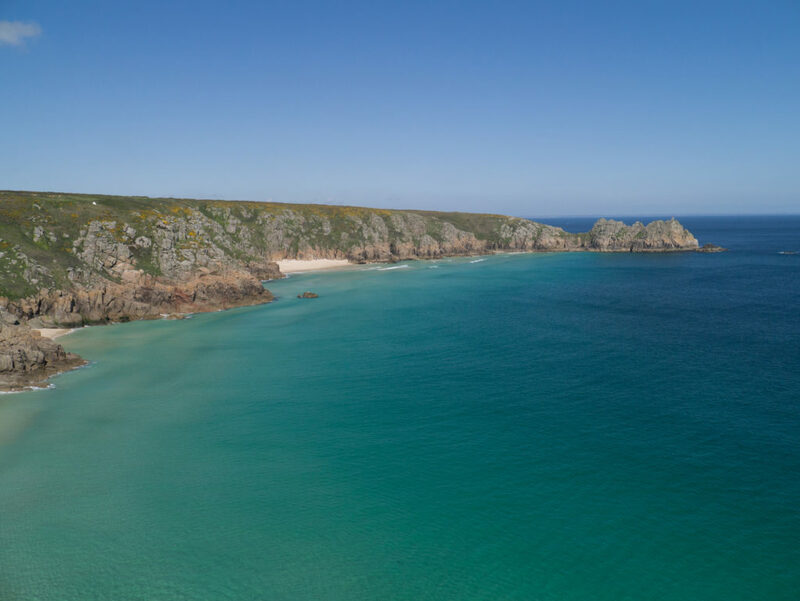 What’s your 2nd best kept secret about Cornwall? The Iron Mines between Lostwithiel and Restormel. 13. 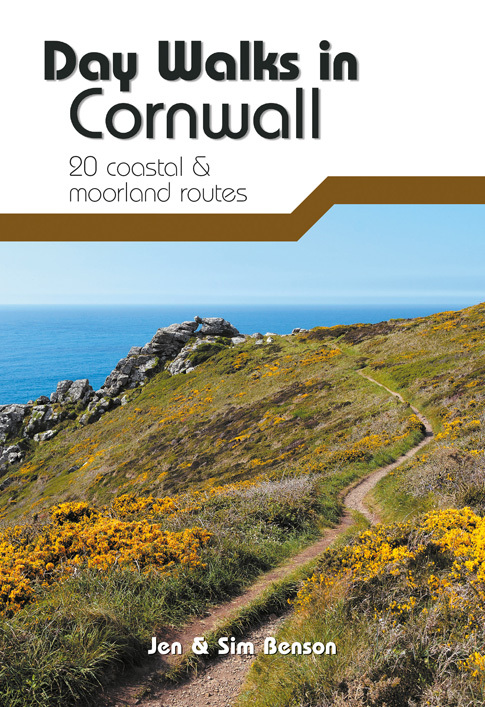 If not Cornwall, where? West Coast of Scotland or various Greek Islands. 14. If you feel there is a question we haven’t asked you that you would love to answer – go ahead! Kober, Arghans? Sten, Sten, Sten! Yn pub karrek? Yn pub men! Kober, Arghans? Sten, Sten, Sten! An gwella sten? Yn Kernow! 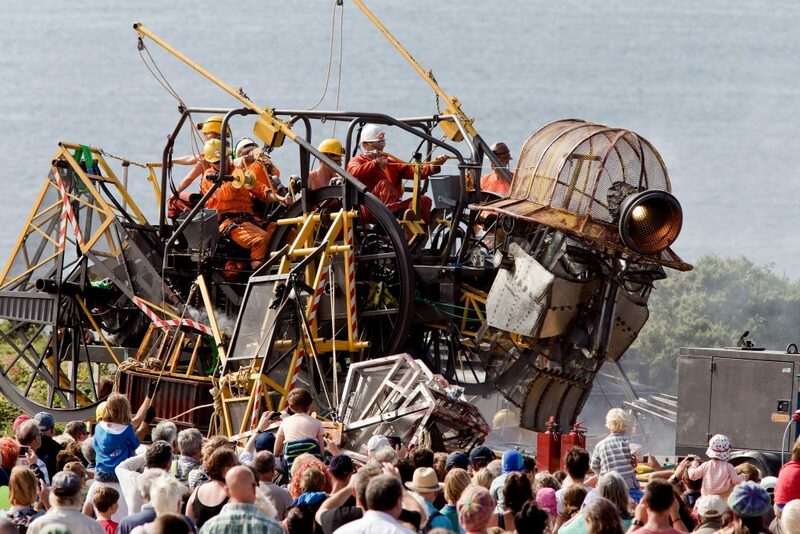 The Man Engine Resurrection Tour 2018 starts in Cornwall this weekend! See him at Geevor Tin Mine Museum on Saturday, Heartlands Cornwall on Easter Sunday and Royal Cornwall Events Centre on Easter Monday.